Photos can be shared in a variety of ways with our sharing capabilities. 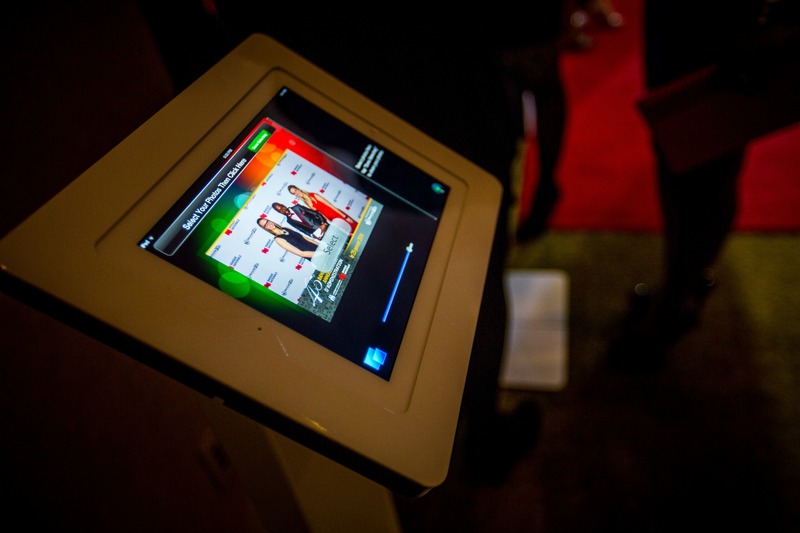 All photos taken with the photo booth are instantly transferred into to our sharing stations. People can then review all the photos at the station and select which ones they would like to share. Once a photo is selected it can either by shared by email or text message and uploaded instantly on social media. While people love getting a print of their photo, they also enjoy receiving the digital version of their picture. We offer a variety of sharing options that can be done from our stations, which are separate kiosks. With a few simple steps, pictures can be sent by email or uploaded on social media. It’s fast and easy for employees or guests to receive their photo by email. At corporate events photos are typically sent only by email and/or text message, unless your event is public and you’d like photos to also be uploaded to social media. When it comes to collecting data and providing your brand with online visibility, the magic of it all is done from our sharing stations. The sharing experience is customized to fit your marketing goals. A great benefit of the sharing stations is the data we can collect from them. We can collect the user’s email address to add them to your mailing list, collect basic information from Facebook, or go deep with a custom survey that is completed before photos are sent. 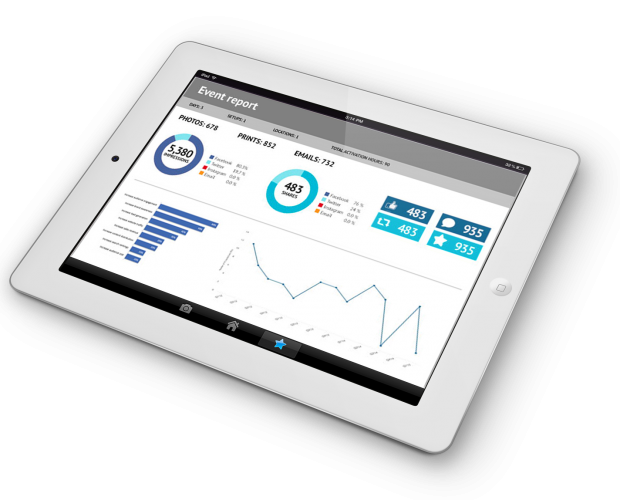 The data we collect also generates a report to provide our clients with metrics of the event. For example, the client will receive the approximate number of people that have viewed the photos on social media as well as the number of shares that were done. This provides our clients with tangible results of the activation, all while helping the increase the people on their mailing list. Of course, data is only collected when requested by the client. To conform to all laws, we follow the proper disclaimer protocol to obtain authorization from users before collecting data from them. We take privacy very seriously and will never share or sell the data we collect with third parties. If we collect data, users are made aware of it before they enter their information. They are also made aware of who will receive their information and only this party will have access to it. Guests love the sharing capabilities our stations have to offer and also appreciate the facility of use.